It is almost done. According to iFanboy, there are four titles left to be announced. Three of them have been leaked. Now, as much as I think they're still talking to us instead of their potential new readers, and as much as I'm still wondering how in the world they're going to market these to their new readers, I think I can separate the how of what they're doing from what they're actually doing, and I can give my reactions to the titles as they currently stand with their creative teams and premises. So with 51 titles pretty much in the bag, I'm gonna go out on a limb and say that the 52nd is probably going to be big news meriting its own post. So I'm going to give my reactions to the announcements thus far. Some will be general, and some will be specific. I will tell you this right off the bat, though. 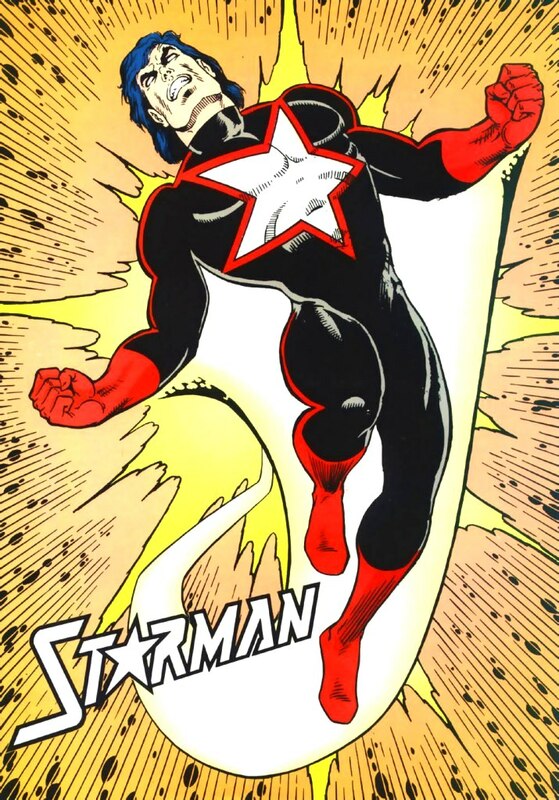 In 1994, DC launched a new STARMAN series by James Robinson and Tony Harris. It got praised everywhere, and I refused to read it because I was insanely loyal to Roger Stern and Tom Lyle's Starman, Will Payton. When I read the 1994 series later on in life, I was floored. It was amazing. It was undoubtedly one of the best comics I've ever read, and may actually be my favorite longform mainstream superhero comic book. The lesson here is simple: Loyalty to a character is good in the sense that it means you care, but it is bad if it blinds you to what actually is good out there. 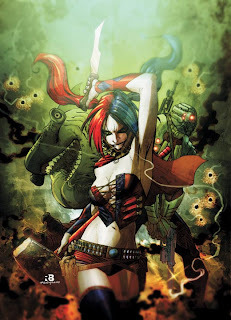 If DC is putting out good stuff, I will buy it. Ready? Let's go! More after the jump. Reaction #1. My God, that's a lot of ugly stuff. Best to get the negative stuff out of the way first so I don't have to talk about these later (and we can end on a good note). Jim Lee cannot design anything. He simply cannot. A lot of these costumes look straight out of the 1990s — and by that, I mean, they're made needlessly complicated. I've always felt that superhero costumes were best when they were simplest and most iconic, and obviously, a simple and iconic costume would adapt better to the styles of various artists (more on this later). 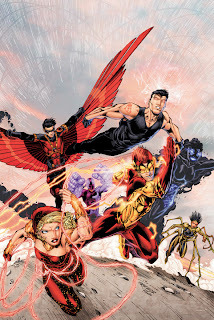 The worst example I can see is the one with The Teen Titans, as drawn by Brett Booth. 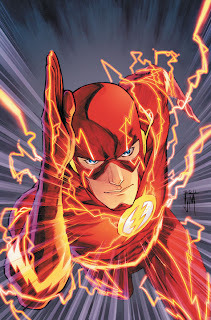 Gone is Robin's simple design and Kid Flash's iconic look. And I'm not sure what Superboy is supposed to look like. Don't even get me started on what's been done to Harley Quinn. And of course, let's not forget the horrendous V-neck collars. wears something we recognize, that's not Wonder Woman. But sadly, no Filipinos. I see all of one Asian in BIRDS OF PREY, and she seems to be the token samurai Japanese (Katana?). It's probably a good thing, considering how much DC would get put by us under the microscope, but still. The effort would have been nice. Having said that, I count three and a half books that are going to be headlined by black characters, the most high-profile of which is probably STATIC SHOCK. This makes me happy, and I have nothing but high hopes for these series. 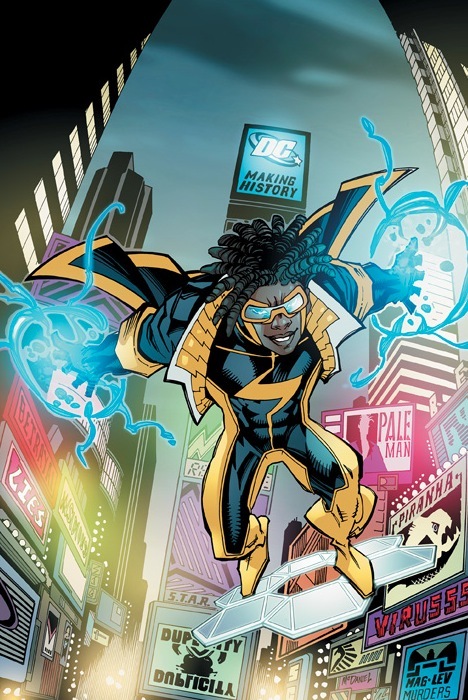 However, I can't help but think of the history of minority characters in comics, and I can't help but wonder how DC is going to market this. To illustrate a point, I was talking to an American friend of mine a week ago, and we talked about The Last Airbender, and he said "To be honest, if they'd cast a Japanese kid in the lead role, I wouldn't have thought of watching it." As much as I really want to see these titles succeed, I would also, if I were a betting man, count on at least three of these titles to get the axe before any of the others. More than just about any other kind of lead character out there, racial minorities are the most uphill of battles. Reaction #3. I don't care about most of these. And that's fine. 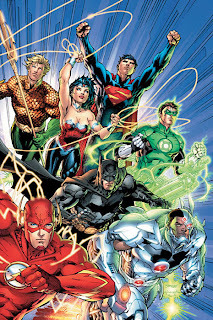 I'm not sure DC is counting on "the new fan" to care about all of these titles or even most of them. They're probably counting on a bunch of fans caring for one title, another bunch caring for another, and so on and so forth. What you can't take away from this venture though, is just how diverse this line is when it comes to genre. There are horror titles, straight-up superhero titles, espionage titles, and more. They seem to be fully taking advantage of one of the big benefits of the superhero genre, which is its ability to merge different genres (such as Western, espionage, and horror) into one story. The cohesion of the stories falls apart if you look too close, of course, but aside from those of us already here, who looks too close? Having said that, there seems to be a big imbalance of "dark" books. Just look at that list, and it looks like the straightforward and lighthearted stuff takes up less than a quarter of this output. Reaction #4. SWAMP THING isn't real to me. Reaction #5. There sure are a lot of artists writing their own stuff. When DC announced that it was launching 52 titles, I wondered if they had enough artists to draw 52 titles on time and up to the standards that such a high-profile project would entail. 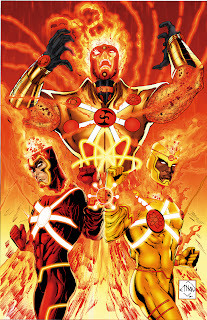 (I'm still wondering if they can be punctual, considering Jim Lee and Rob Liefeld are on two of these.) But I assumed that they'd have their writers splitting most of the, you know, writing. 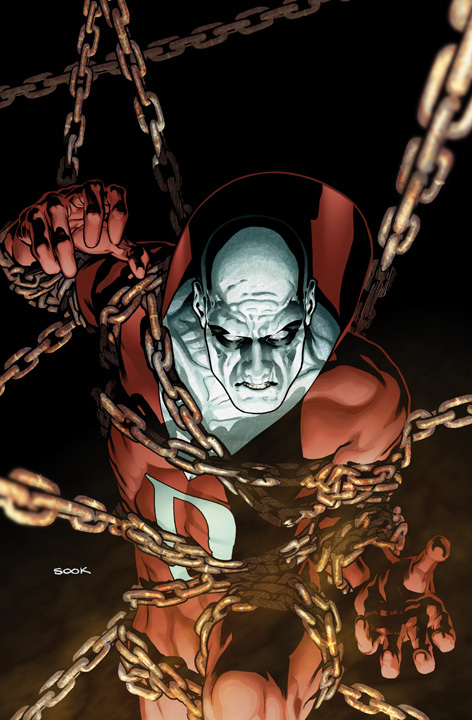 As it stands, Grant Morrison is rumored for only one title, with one more coming in 2012. 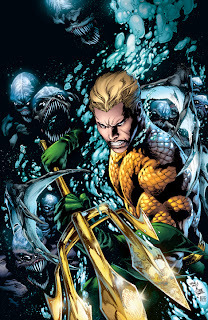 Geoff Johns is just doing three. Gail Simone is doing two. For a lot of them, the artists themselves are doing the writing. 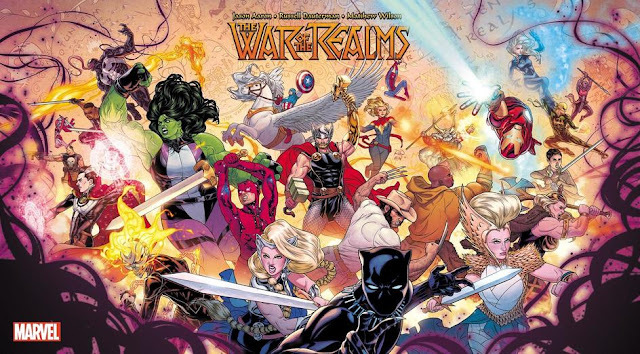 It's an interesting choice, and some artists, as we know, can write (like George Perez), but we don't know this for sure, and we'll have nothing to go by but the solicitations. Reaction #6. Where are the following creators? 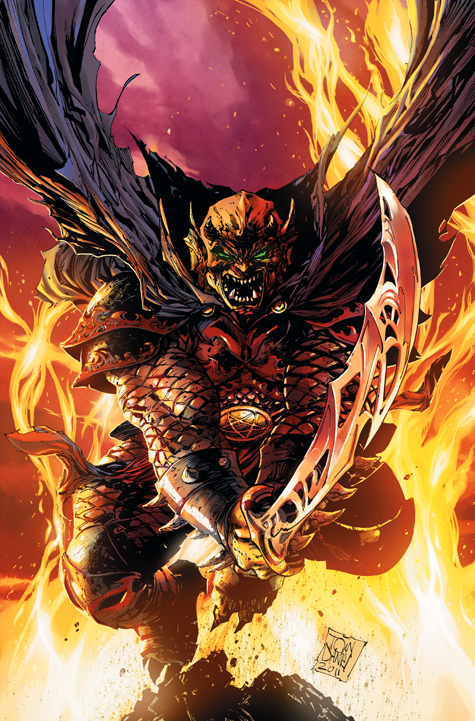 There seem to be a lot of DC talent that isn't thus far a part of this relaunch. Phil Jimenez and Andy Kubert may be the biggest names on this list — why aren't they a part of this relaunch? They've both got solid fanbases, and they're both excellent storytellers. What is wrong with this? Seriously? If they are doing projects for DC that aren't a part of this wave of 52 titles, I want to hear them announce it. And soon. Reaction #7. THESE titles look interesting. This is the list of titles that I think have interesting premises and solid artwork, based on what I've seen of their artists off the Internet or what I actually know of them. I won't be putting these on my to-buy list yet, but that may change once I see the preview pages and the hype for them. My guess is I'll probably end up buying one or two of these. 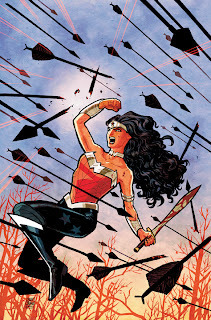 It's hard for me to not be curious to see what Cliff Chiang, Ivan Reis, and Francis Manapul do on three of the icons: Wonder Woman, Aquaman, and The Flash. Of all of these, the most sale-able I think is THE FLASH, which really is just a comic that sells itself. 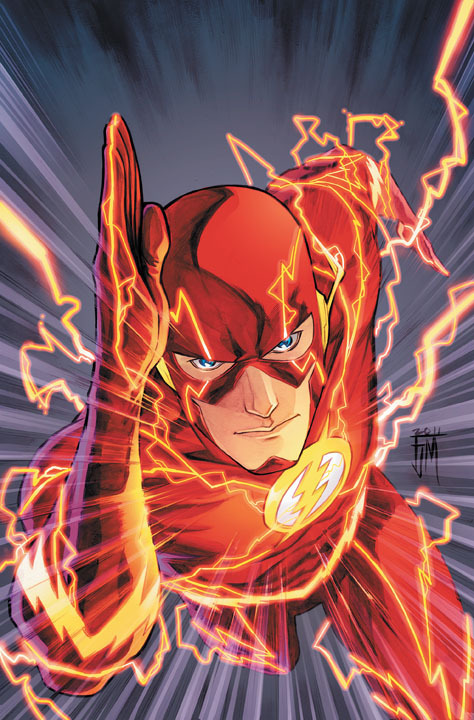 Even the solicitation sounds intriguing: "The Flash knows he can’t be everywhere at once, but what happens when he faces an all-new villain who can?" 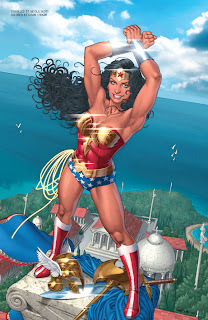 Having said that, this is still NOT Wonder Woman, damn it! There is also Greg Capullo on BATMAN. And while he's not really displaying all his prowess on this sample page, I can't deny that I've always thought, ever since I saw him on SPAWN, that he's perfect for Batman. 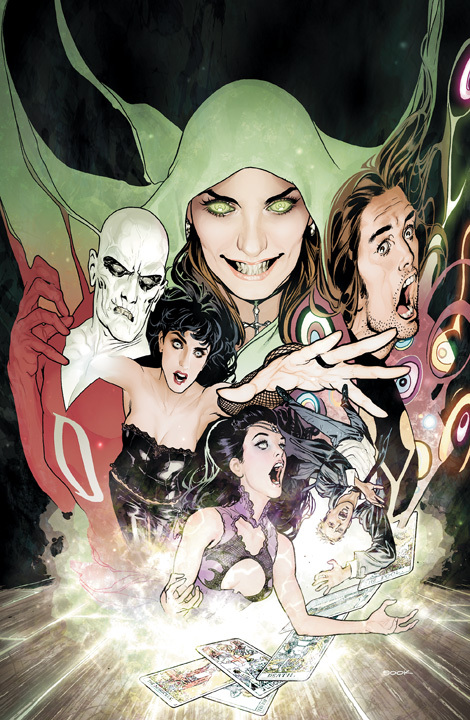 JUSTICE LEAGUE: DARK, while boggling me with the insane stupidity of Zatanna's fishnets on her arms and John Constantine being put in a superhero title, actually intrigues me. Or maybe it's just because Ryan Sook draws a really pretty cover. DEMON KNIGHTS also looks cool, but that's because I love Etrigan. 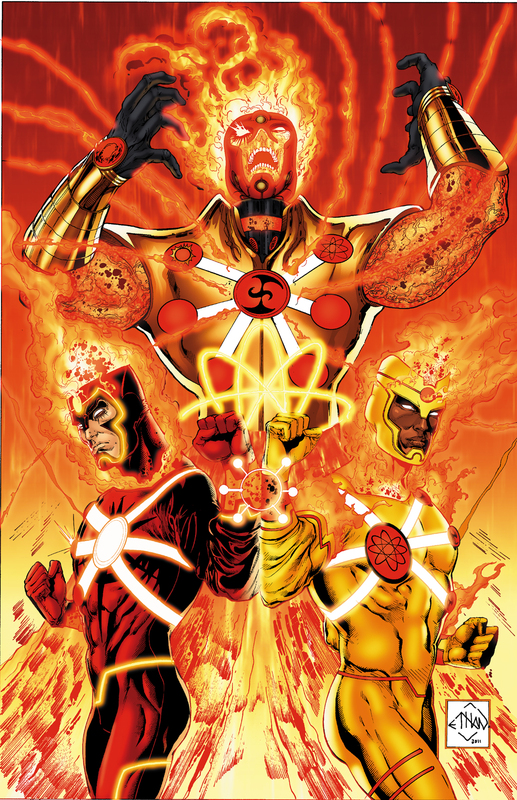 THE FURY OF FIRESTORM looks really solid, and it looks like a whole new take on The Nuclear Man that we've never seen before. I'm really curious about this one. And then there are the anthology titles. 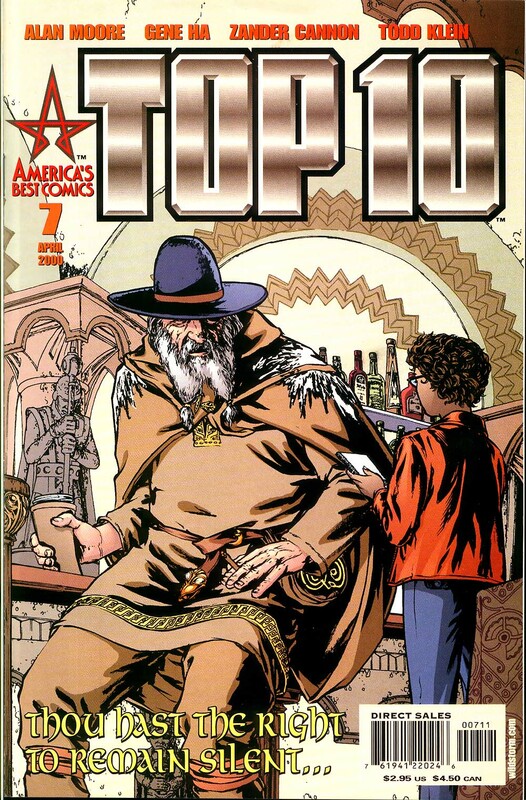 I love anthology titles, as I think they're a great way to discover new talent! (Fun fact: most of your favorite iconic characters were born in anthologies. What do you think ACTION COMICS was?) 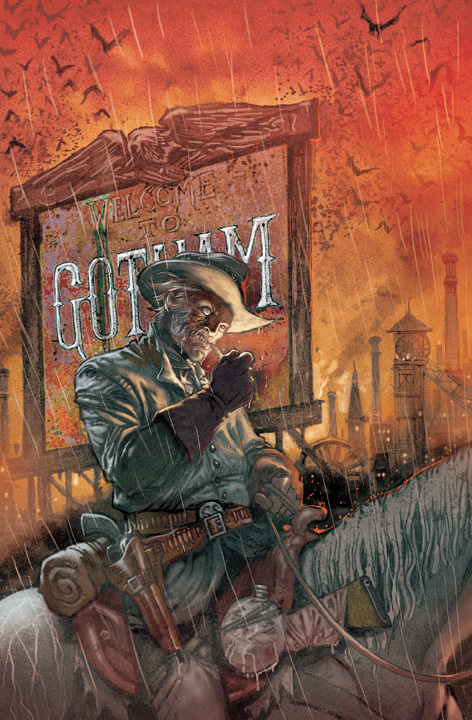 So I'm going to be flipping through both DC UNIVERSE PRESENTS and ALL-STAR WESTERN when they hit the stores. 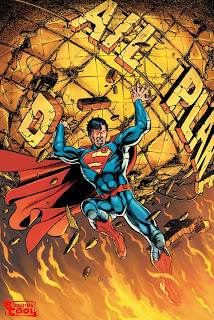 As for the heavily rumored ACTION COMICS #1 with Grant Morrison and Rags Morales, I have to wait for that to be confirmed, and more so, I have to wait and see what the Superman situation actually is. I would still love to see this happen. Reaction #8. I will definitely be getting these. 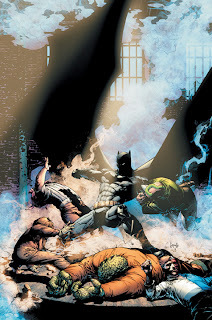 Come September, I will definitely be getting three new DC titles. One was a title that I was always going to get, and that's BATWOMAN by JH Williams III, W. Haden Blackman, and Amy Reeder. 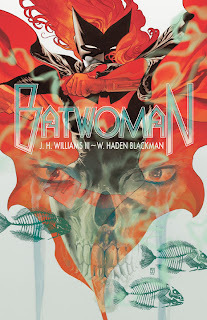 I loved BATWOMAN: ELEGY , and Williams is undoubtedly my favorite artist at the moment. From my favorite artist of the moment, let's move on to my favorite artist of all time. 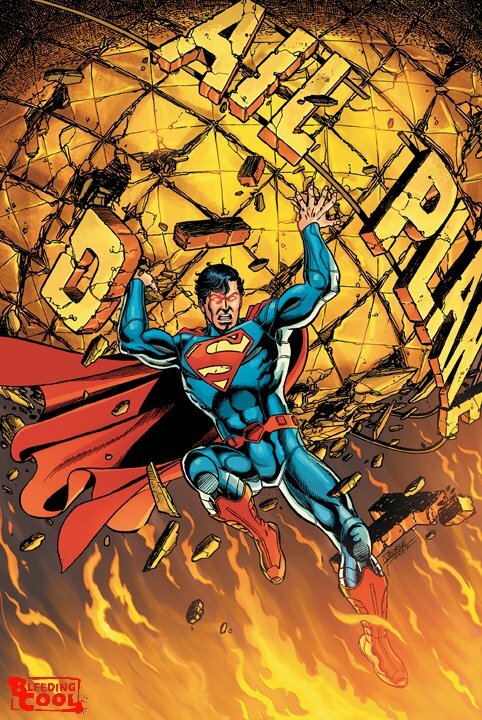 See, it doesn't matter what "The Superman situation" is. It doesn't matter how horrible this costume design is. (Superman in armor? What?) And it doesn't matter if this hasn't been officially announced. I will buy George Perez on anything. Without any reluctance. So those are two comics that I'm following because I follow those creators. What about following a concept or a character? 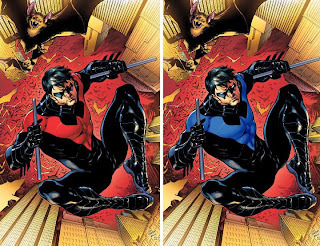 To be honest, the only artist with whom I'm mostly unfamiliar that's won me over just from his cover (unlike Ryan Sook, who is not drawing the interiors for the comics he's done the covers of) has been Eddy Barrows on NIGHTWING. Granted, a big part of this is my brother's excitement for it as well, and his willingness to, you know, pay for it. But this is the only title apart from the two mentioned above on which I've liked the art enough and fits a character well enough for me to really want to read it. I've been very critical of NIGHTWING series in the past, and a part of me is really just waiting for the perfect Nightwing story. Who knows? We just might get it. Still, I wish Nightwing had his classic colors on. Speaking of which, which one do you think is better? I have no clue who Photoshopped this, but I really prefer the one on the right. Look at how good that looks! Duy, I'm with you on how bleak my outlook is for this whole reboot. Most of the new designs leave me cold, and the idea of John Constantine on a superhero team is beyond stupid. I'm totally with you on Swamp Thing Duy. 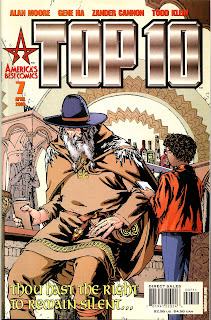 I've heard really good things about the Millar and Veitch stuff but Moore just made the character his. 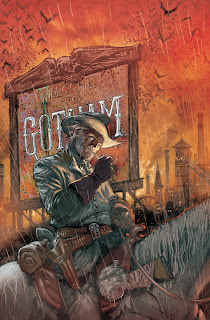 I may check out the trade of Snyder's run if I hear really good things but I've been getting the Moore hardcovers and that's really all the Swamp Thing I need. 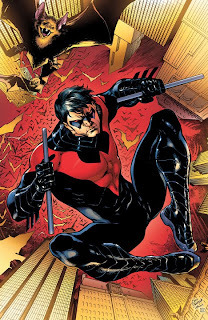 Superboy on the Teen Titans reboot, you don't know what he's supposed to be like?